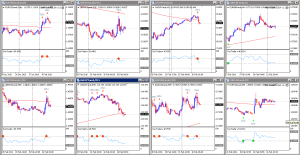 Welcome to the DaxTrader RSI Expert Advisor automated trading system page. If you are interested in making money from trading, having your own trading robot that can trade while you sleep or work, or receive more information about the RSI Expert Advisor, then you have come to the right page. How Do I Buy My Copy? So What Is This RSI Expert Advisor? I have produced some tutorial videos (below) that will hopefully explain this software in more detail, but let’s start from the beginning. When I first started trading properly, for real money, in 2013, I found that I regularly missed the high probability trading opportunities and trade setups. I found that when I actually spotted those opportunities, I was either too late to get good value or the move had already happened and I was left behind. I also became frustrated that I could not access my trades easily at work and concluded that working in an office affected my ability to trade. I began to realise that using a smart phone to watch the markets was useful, but it was not easy because it affected my ability to do my job properly. So with these frustrations in mind, I did what anyone else would do and looked for a solution to the problem. The solution was to build a piece of software that could run all day, scanning all the markets I wanted, opening trades when particular trading conditions were met and closing them automatically, based on my favourite indicator, the RSI. The software needed to identify oversold markets and watch the market until it began to show signs of reversing and at that point, it would enter into a buy trade. The software would also identify overbought markets and once again watch it until the market appeared to be reversing and then enter a trade to sell. It needed to be able to open and close trades of a size that I choose, at the times I want it to trade, with stop losses and take profit targets that I choose, with a trailing stop and various other filters and functions. 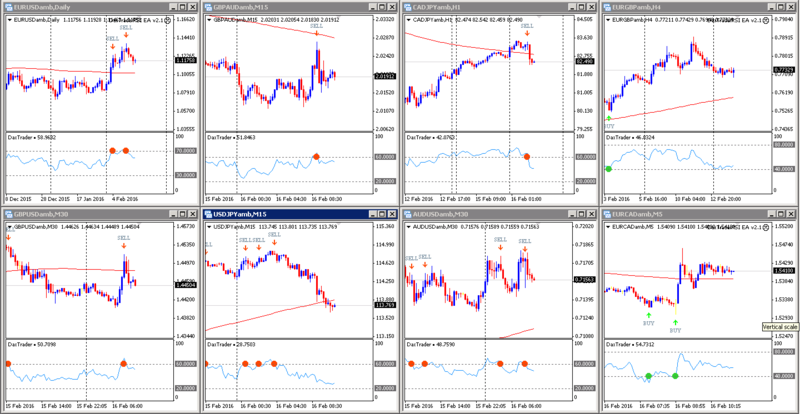 The result, is my DaxTrader RSI 3.2 Expert Advisor and Indicator bundle. I love it. I use it everyday, and I let it trade and make money for me while I am sleeping, working, socialising and generally away from the computer. The RSI crosses below and then closes below the oversold line AND the RSI then crosses above and then closes above the oversold line. The RSI crosses above and then closes above the overbought line AND the RSI then crosses below and then closes below the overbought line. The application displayed on this page does not take in to consideration your individual personal circumstances and trading objectives. Therefore it should not be considered as a personal recommendation or investment advice. Past performance is not indicative of future results. There is no guarantee that trading systems such as the RSI Expert Advisor, trading techniques, trading methods, and/or indicators will result in profits or not result in losses. If you wish to purchase a copy, then I have provided the links that you need further up the page. Alternatively, you get the software completely free when you open, fund and trade with a brand new trading account from FXCM, using my referral link below. (If you choose this option, please just drop me an email to chris@daxtrader.co.uk to let me know you have done it and I will send you the software once it’s confirmed). European traders only from this link, see frequently asked questions. Does this system always provide a return? No. In fact you could lose your money. Automated trading software, in fact trading in general, involves the risk of losing all of your invested money. So trade using this software entirely at your own risk. However it does offer you the opportunity to win handsomely. Does this system automatically trade? How Do I Get The Software Free? To receive the RSI Expert Advisor software for free you need to create an account with FXCM, using my referral link (above) and meet the conditions below. I will receive a notification once this process is complete and from you here you receive the full unrestricted software and free upgrades (on request) when new versions of the software become available. If the process takes some time, I can offer you a trial of the software until the process is complete. Does your system install automatically? No. You will need to install the files into your own Meta Trader software. I have included a number of tutorial videos below to help you do that. Once you have installed the files, you will need to place them BOTH on your charts to have them both working. If you need to make a change to your settings, you will need to change it on both the indicator and the expert advisor. Why is this different a normal RSI? My indicator provides an alert based on when price closes back through either the overbought or oversold level. It provides either an alert, or an email allowing people to receive buy and sell signals at specific times when the market is interesting. The standard RSI indicators only tend to visually show you the overbought or oversold line, they don’t tend to have the alert functionality/feature so you can easily miss interesting trading opportunities. Do you offer the code as well – so we can modify it? I don’t offer the source code, no. This will be a fully working version of the software, but the source code is compiled and not accessible. https://www.mql5.com/en/articles/1356 – maybe this article will help. I don’t offer a refund, all purchases are final, however I will look into getting software published on MQL5.com so you can at least purchase a monthly license to test the software properly during that time. The software is not opening a trade, but the indicator is providing a signal? Does it work on all timeframes? Yes it does and it also works on all markets in MT4. Best of luck trading with the RSI Expert Advisor guys!